Zara Lady is a rising seven-year-old Connemara mare by Streamstown Mickey and out of Muckinagh Lass. I’ve owned Zara for three years, buying her from her breeder and breaking and producing her myself. I bought her with the aim to produce as an general allrounder and we have successfully enjoyed all disciplines, from hunting, cross country, arena events, endurance rides and even handy pony. She has shown her consistency and versatility with numerous wins, including Wardhouse EC dressage points champion, Houston House arena event, Muirmill Derby and several M&M WHP classes. 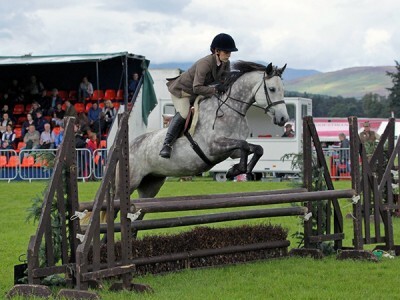 Zara loves jumping and last year jumped clear in the NPS Championship M&M WHP Finals at Blair Castle. We also represented Renfrewshire Riding Club at the area showjumping qualifier, at Morris EC, jumping double clear for the team and individual to win and qualify for the British Riding Club National Championships at Lincoln. Our hunting experience stood us in good stead at the championships as it was very wet, however she jumped double clear, the team finished third and we were placed sixth individually from more than 120 starters. Zara is much admired and has her own fan club in the riding club. She has a fabulous temperament, loves life and is a pleasure to own.